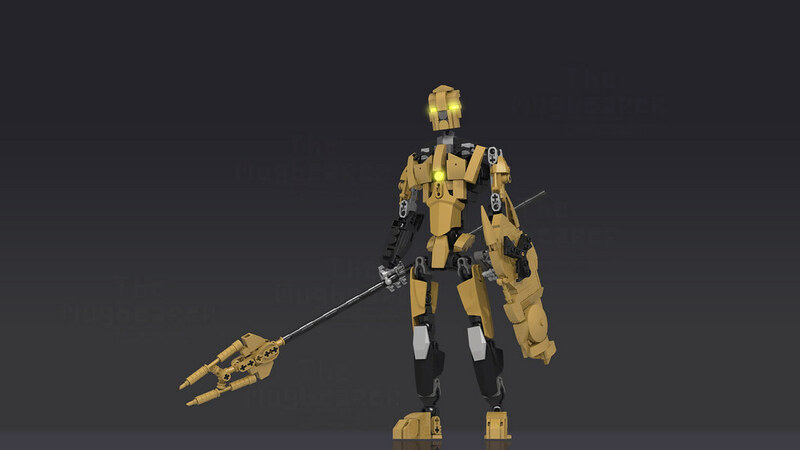 The Hagah were an elite group of Toa assigned to Makuta Teridax. When his betrayal was uncovered, the six went rogue. All of them, except for Norik and Iruini, were captured and mutated by Roodaka into Rahagah. Norik and Iruini lasted a little longer before surrendering to the Vortixx and succumbing to her powers. The following designs are based off Demitsorou's drawings, particularly this Toa Hagah lineup. 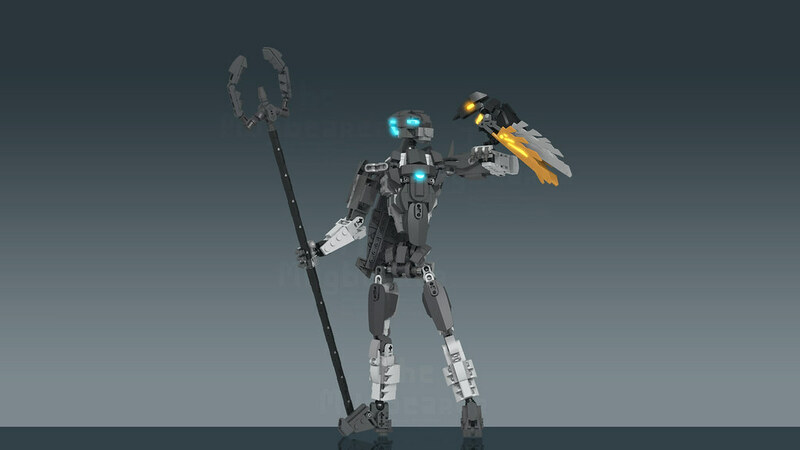 Norik, a Toa of Fire, was the leader of the Toa Hagah, Possessing infinite patience, unusual for a Toa of Fire, Norik was an exemplary leader and a hero. He wears the Great Kanohi Pehkui, Mask of Diminishment. 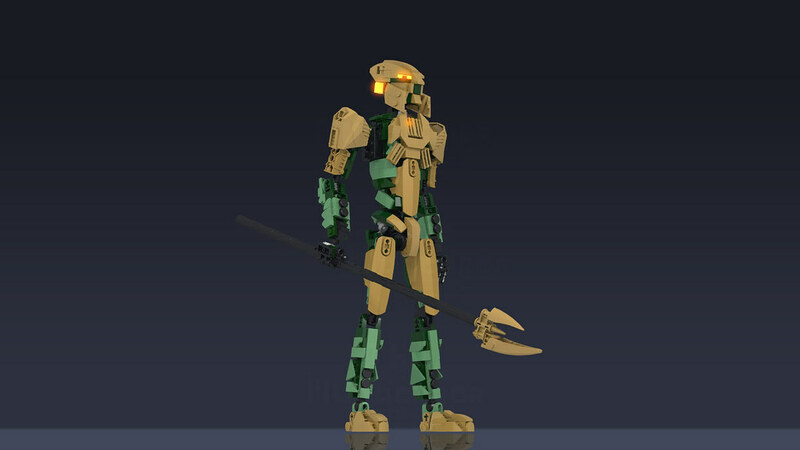 Bomonga, a Toa of Earth, was the deputy leader of the Toa Hagah. 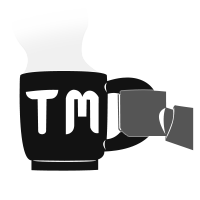 He used to be a quiet type, preferring to work alone and employing stealth tactics. Despite that, got famous for wrangling a Tahtorak Dragon by using his Mask Power to become as large as the beast itself. Bomonga wears the Great Mask of Growth, shaped after Great Kanohi Hau. 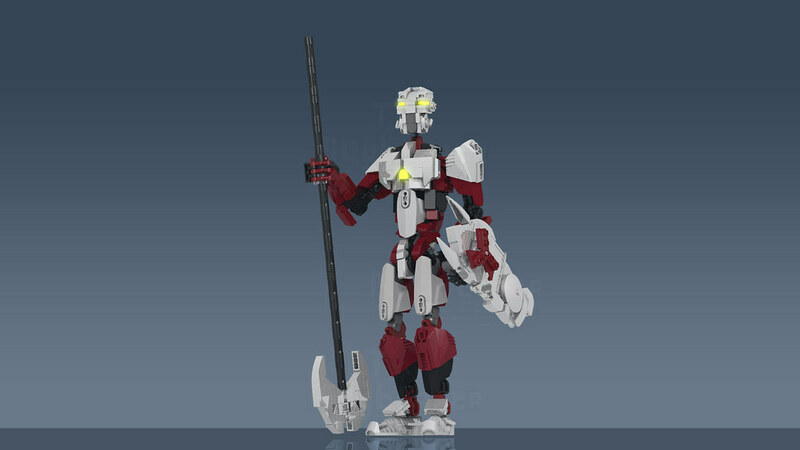 Iruini, a Toa of Air, may seem grim and even cynical, but deep inside he cares a great deal about his teammates. 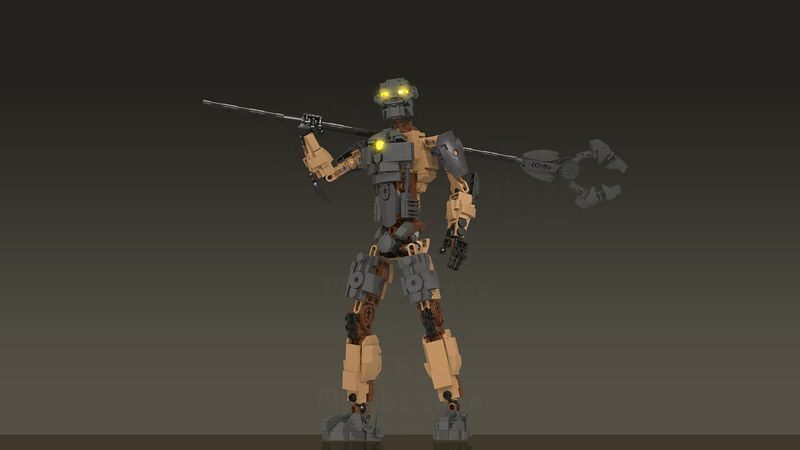 He used to be the only Toa Hagah to ever raise a concern over Rahi, showing his devotion to the safety of the Matoran. Iruini wears the Great Kanohi Kualsi, Mask of Quick Travel. 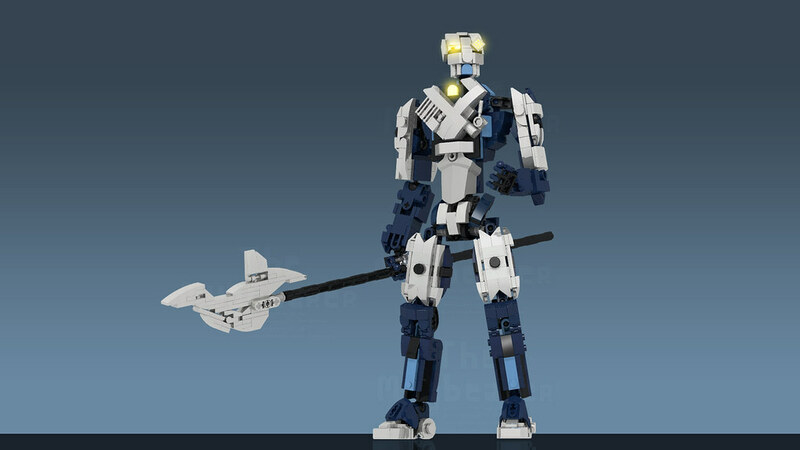 Kualus, a Toa of Ice. Always eloquent and classy, even as mutated Rahagah, Kualus enjoyed the company of avian Rahi. He wears the Great Kanohi Mask of Rahi Control shaped after Great Rau. Gaaki, a Toa of Water, wears a Great Mask of Clairvoyance, shaped after Noble Kanohi Ruru. The mask has an unfortunate habit of activating on its own and impose great stress on its wielder, which made Teridax’s betrayal all that much painful for Toa Gaaki. Pouks, a Toa of Stone. He’s loud and boisterous and believes in direct approaches in everything, which makes him come off as brutally honest at times. Pouks wears the Great Mask of Emulation, shaped after Great Kanohi Elda. All models are made in Lego Digital Designer, rendered in POV-Ray and post-processed in Adobe Photoshop. These are beautiful! I'm impressed with how unique each build is. I love Demitsorou's work, I'm glad to see some MOCs based on it.I am particularly impressed by the chests. The Bohrok shield -> Demitosrou art -> LDD MOC transition is a thing of beauty. Gaaki's stands out for its asymmetry, but Kualus's is my favorite, for its subtle angles. Thanks a lot! I often use Demi's art as an inspiration! Their overall aesthetic and style matches my own, which is always a huge plus. I am really proud of how the Hagah turned out to be, especially their chest pieces and staves.